We scoured North America for bargain-priced, refreshingly creative plates, and found 11, all 10 bucks or under. 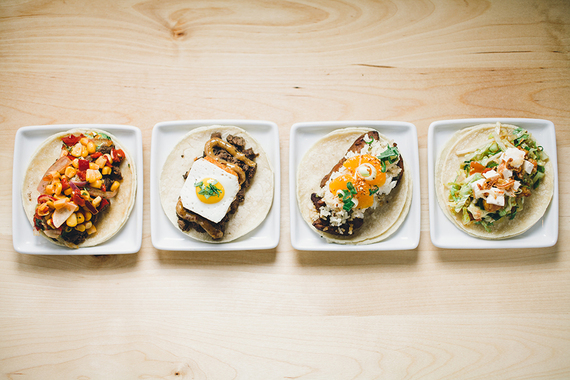 You'll find tepid tacos, edible hot dogs and passable pizza pretty much anywhere, but you want to feel like you're getting something special for your meal ticket. We scoured North America for bargain-priced, refreshingly creative plates, and found 11, all 10 bucks or under. For your 10-note you get four tacos that are so above run-of-the-mill, you'll be licking your fingers and wondering what just happened. L.A.'s rising star chef Erwin Tjahyadi has all the right notches on his belt: Le Cordon Bleu training, apprenticeship with Wolfgang Puck, lead cook at Hotel Bel-Air, Zagat's "30 Under 30." 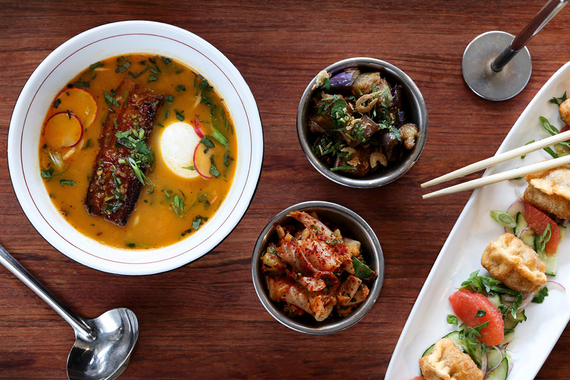 He took his love of Asian fusion cuisine and created a sought-after food truck, which got so popular, it morphed into two standalone cafes. One of your four tacos should definitely be the Asian marinated chicken, jalapeño stir-fried rice, green onions, mandarin oranges, sesame seeds and sweet soy sauce glaze. The late chef Charlie Trotter nurtured many an award-winning chef, including Bill Kim whose Urban Belly sits just beyond the hubbub of Chicago's West Loop cluster of trendy dining. It's the place locals bring friends from out of town to show how in-the-know they are. With the $8 ramen bowl, a perfect lunchtime size, they also get bargain bragging rights. Chicken, beef, veal tongue, Lebanese sausage. It's hard to choose just one of the 16 (nearly all under $10) lovingly filled and grilled Lebanese wraps at this take-out sammie spot in New York's Hudson Square neighborhood. But we direct you to the Arnabeet Mekle because you might otherwise overlook it and because it makes marinated fried cauliflower crave-worthy. In the Finger Lakes of New York, this crepe place turns the froo froo French staple into an accessible dish for any taste level. 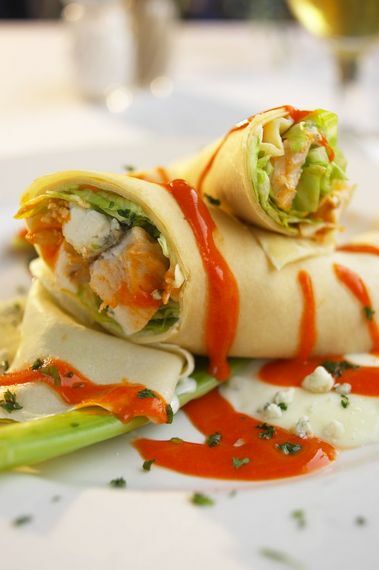 The Buffalo chicken, in particular, takes what's usually reserved for football-game wings--the sauce, the lettuce, the blue cheese, the celery with dressing on the side--and rolls it up into a lightly sweetened crepe, a recipe that has been in the restaurateur's family for generations. Apologies to the fans of this friendly, off-the-tourist-path gem who asked us not to divulge their secret. 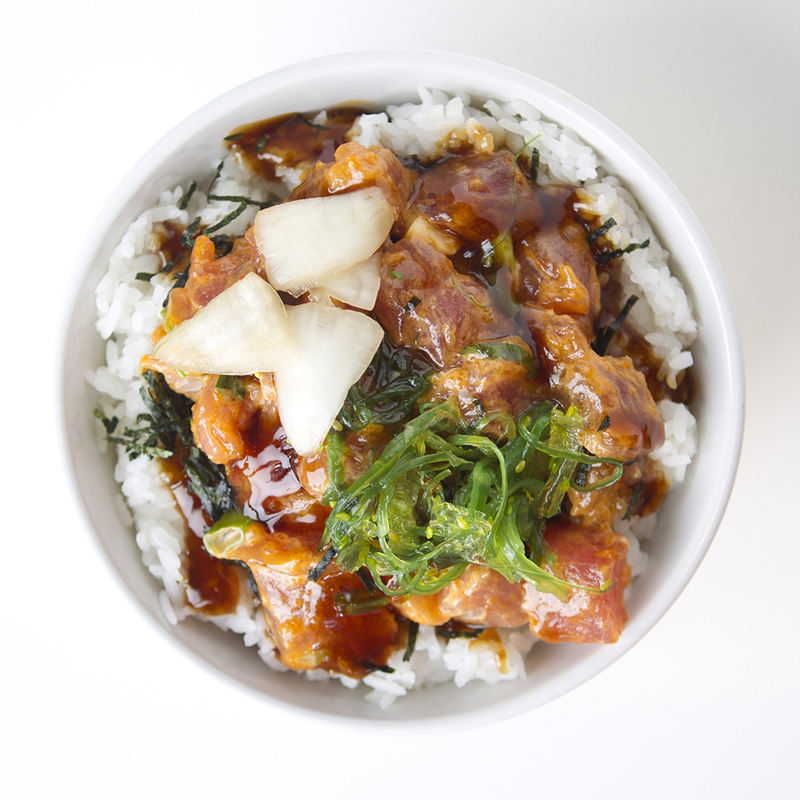 We couldn't resist, especially when a massive poke bowl here is under $10. Poke (pronounced po-keh) can be found all over Hawaii and usually refers to a raw fish salad. 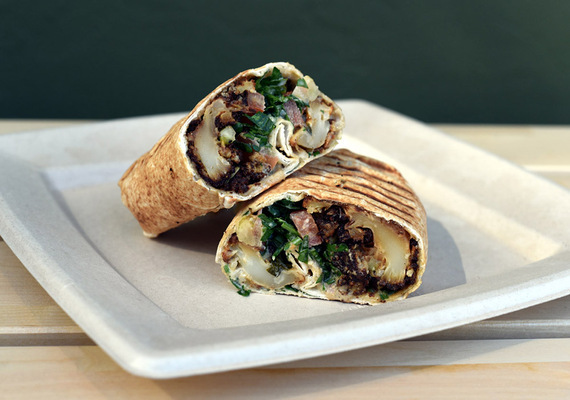 It was popularized by iconic Hawaiian chef Sam Choy who even created a festival celebrating the dish. Pa'ina's signature version hits all the right flavor notes: white or brown rice, spicy tuna, shredded nori and their special glaze. One peek at the steak- and seafood-heavy menu at this intimate waterfront hotel restaurant and you'll beeline-it back to the hot dog stand, but never mind the printed menu. Take a seat and tell the server you'd like the secret poutine menu. 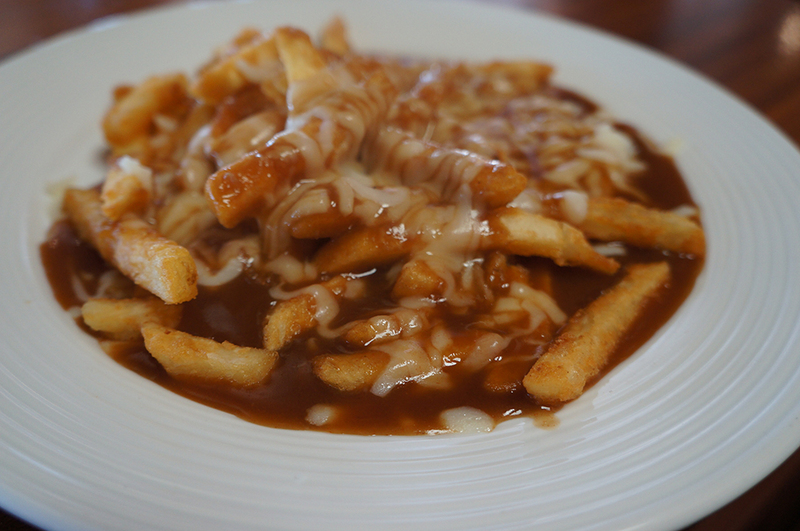 Hailing from poutine-reigning Canada, the general manager has taught the chef to keep a poutine recipe in his back pocket. The "loaded" version gets you a plate piled with crispy French fries topped with bacon, shredded mozzarella cheese, hot brown gravy and drizzled with sour cream. Dining amid the ocean breeze, pub fare never tasted so good. Mexican in Arizona is as original as barbecue in Kansas City, but, seriously, this place was given a place on Esquire magazine's best new restaurant list in 2012, and for good reason. 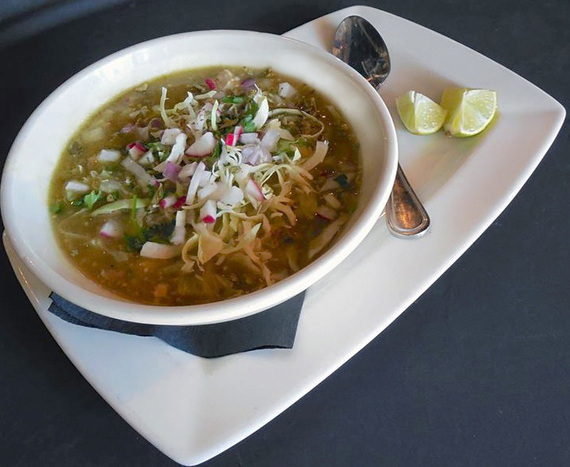 Specifically for its spicy Pozole Verde, a slow-cooked green pork chili and hominy soup, flavored up with onions, radishes and cilantro, served with three warm tortillas. It's a centuries-old, hearty meal, made even better by its low, low price. We realize this may seem pedestrian to some foodies out there, but this match-up is a legendary throwback to the Woolworth's original and now served with flair and a fun-loving attitude at this super-cute farm-to-table bistro (the owners are sweet on honey bee products and preservation) in downtown Santa Fe. 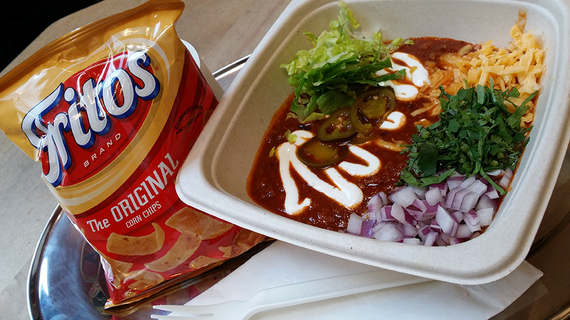 The Fritos add the crunchy-salty finishing touch to chef-made buffalo red chili that's garnished with sour cream, lettuce, locally made Tucumcari cheddar cheese, diced red onion, fresh cilantro and spicy pickled jalapeños. They're doing something right at this no-frills Galveston Island mainstay; it's been serving up delicately fried fish to the neighborhood since 1976. 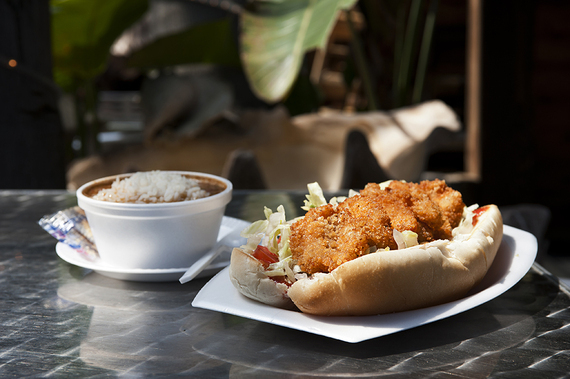 In this chosen po-boy, are deep-fried jumbo Gulf shrimp, with lettuce, tomato and house-made tartar layered into toasted French bread. It's so darn cheap, you could splurge for the $2.99 side-and-drink deal or just a side--we suggest the sweet potato fries--for $2.29. Take it all to the outside patio. 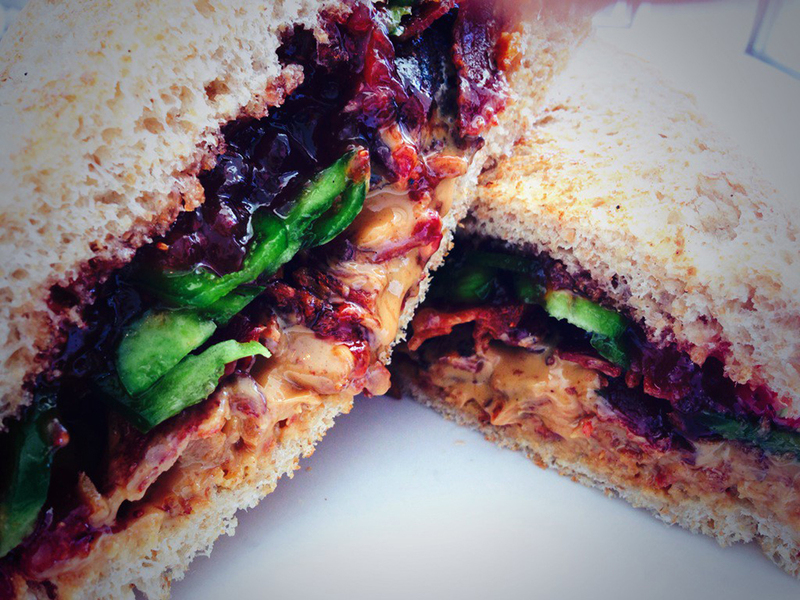 What might look like a same-ol' PB and J from the outside is actually a pumped-up twist that we think only Martha Hoover's famous Café Patachou could pull off so smoothly: peanut butter, strawberry jelly, Smoking Goose bacon and fresh jalapeños on toasted wheat bread, served with a side. It'll hit your heart with a whollup, but what really makes this concoction heartwarming is that all the proceeds benefit underserved children in Indianapolis. L.A.'s historic, always jammed Grand Central Market is fittingly very NYC, with hip vendor booths selling culinary treats from cheese to ice cream to fresh-baked breads and fresh-pressed juices. So you could feasibly nibble your way through, but you should save your money for a meal at Sticky Rice, lauded as tinseltown's first "Thai comfort food" restaurant that cooks with organic, free-range and locally sourced ingredients. 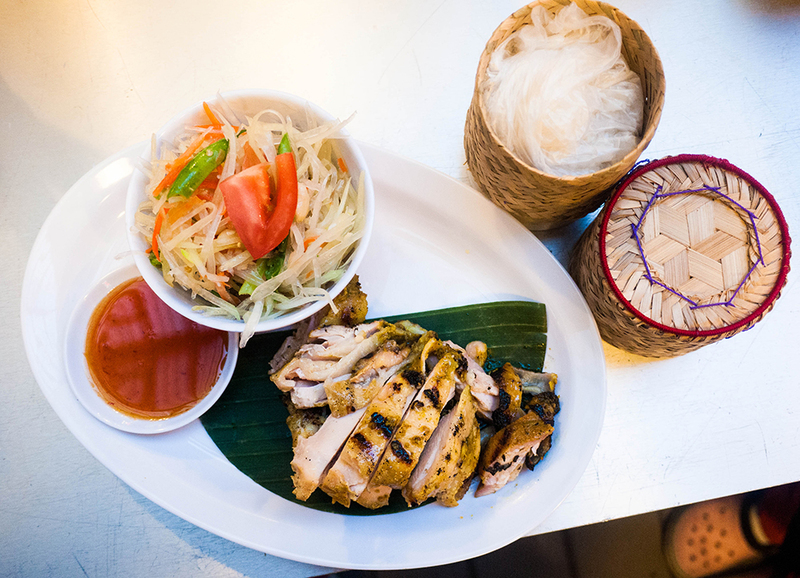 The Gai Yang is our winner on price: tender Thai barbecue chicken with papaya salad, sticky rice and sweet-tangy dipping sauce.